The information listed on this page (and associated links) are considered the official participant guide for the Afton 50KM. Runners at a minimum should familiarize themselves with all of this information prior to registering for the race and then again prior to running race. Runners should share this information with any friends / family / spectators that they plan on having join them at the race. Warm-Ups: Since you may not have time to get back down to your vehicle before the race start there will be a row of tents adjacent to the finish line where you will be able to leave warmups, race shirt, etc. You will check your bag in and out with volunteers after you’ve labeled them with your name and race number. We discourage leaving items of value in your bags. Though your bags will be under tents, they will not be protected from any potential weather. You can either bring your own bag or use the small plastic bag provided to you at check in. A Minnesota State Parks pass is required to park in the state park, but not at Afton Alps. Please support our great Minnesota State Park System by purchasing an annual State Park pass. You can purchase an annual permit in advance by phone by calling 1-888-MINNDNR (as the guard shack will not be open upon your arrival to the park race morning). You can also stop by the guard shack on your way out of the park and pay your day permit fee or even better purchase an annual pass. Follow this link for more details. http://www.dnr.state.mn.us/state_parks/permit.html By purchasing a park pass you not only support the entire state park system, you also increase the dollar amount that we are able to donate to the park as the Afton Trail Run is required to pay for every vehicle that does not have a state park permit (state park staff takes a count of all vehicles without a permit). 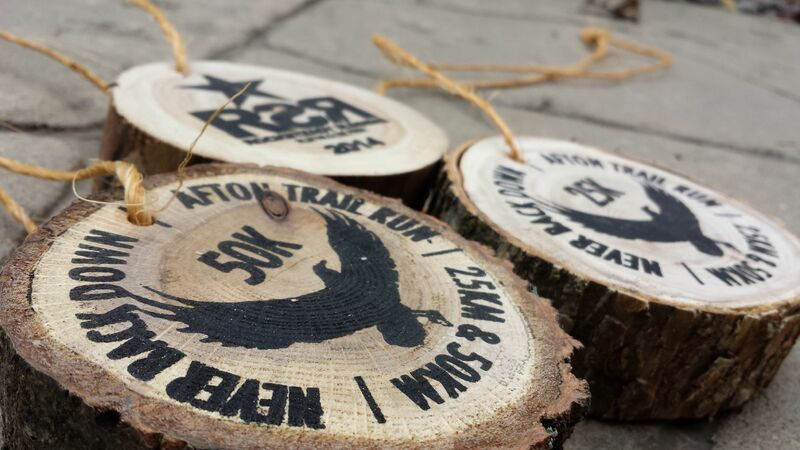 The Afton Trail Run 50KM Trail Race, is one of the most challenging and beautiful trail races anywhere. The race was established in 1994 and is now one of the oldest, largest and most competitive trail races in the country – garnering national attention and attracting runners from all over the United States and beyond. Runners World says that Afton State Park has some of the most beautiful running trails in the country and once you’ve run we think you will agree. Afton State Park is located within the beautiful St. Croix River valley. The start of the race is near the Visitors Center, in Afton State Park. It is a hilly, 25K loop (two loops for the 50K), winding through the park’s trail system. For the most part, the trail is on well-established footing through the woodlands and prairie. There are long climbs, rising from the river bottom, up rocky ravines, and down again. Complete registration details and a link to register can be found on our registration page HERE https://www.aftontrailrun.com/registration-info/. Field limit for the Afton Trail Run is 975 runners (combined 25K and 50K distances). We DO NOT keep a waiting list – instead we accept extra runners up front so that everyone has the same opportunity to train, make reservations, get a babysitter, etc. This means that a withdrawal prior to race day does not create an opening in the race field – it just brings us down to our predetermined field limit which is set in accordance with our permitor(s). We have found that a percentage of those chosen in the lottery will not make it to the starting line due to injury, illness, or other “real life” interventions and adjust the number of allocated spots accordingly year to year based on historical averages. Entry fees are not refundable under any circumstance, race registrations are not transferable to other participants, future years races or other Rocksteady Running events – additionally we do do not allow transfers between distances. Acceptance of these conditions is part of the registration process. Please note that emails requesting any of the above will not be answered. The Afton Trail Run is approximately 25 minutes East of St. Paul, MN and 40 minutes East of Minneapolis, MN. Minneapolis (MSP) has a world class international airport and traveling to the race is a breeze. Afton State Park is located about 15 minutes from Woodbury, Hastings and Stillwater. About 30 minutes from St. Paul and about 45 Minutes from Minneapolis and Bloomington. Various lodging options are available in each city. Camping is available at Afton State Park – there are camper cabins which fill up fast and thre are hike in campsites. Afton State Park (866.857.2757). Additional camping can be found at the nearby Washington County St. Croix Bluffs Regional Park. There will be a short pre-race briefing about 10 minutes prior to the start of the race. You can keep a drop bag at the start / finish area which is also the 25K mark in the 50K race. Early July in Minnesota can be quite hot and humid. We have had temperatures reach the high 90’s with high humidity and have also had days as cool as the low 70’s. In it’s history, regardless of weather, the Afton trail run has never been canceled – train for and plan for a hot day – hydration and electrolyte balance is key. Be prepared, watch the forecast and plan accordingly. This is a hot weather race we strongly encourage you to carry a water bottle at all times. Your race number must be worn on the front of your body and be clearly visible at all times. Those who register within 3 weeks of the race will have their names custom printed on their race numbers. Your timing chip will be affixed to the back of your race number. Do not remove your timing chip. Do not bend or fold your timing chip or crumple your race number – this may break your timing chip. Your race number and your timing chip must be pinned on your outer-most layer at all times. Above guidelines must be followed in order ensure that split times and finish times are recorded. This chip is disposable and does not need to be returned. The course will be marked with Orange flags, which will always be on the left hand side of the trail along with some supplemental arrows. In the one short section of “two-way traffic” course markers will be on both sides of the trail. It is unfortunate but is not unheard of at many of the major trail races that course vandalism has occurred and flagging has been intentionally moved or removed by small minded individuals – it is important that you study the course maps prior to running and have a concept of where you are going. Our aid stations are manned by volunteers, all of them spending a good part of their day out there to help you! Please be sure to thank the volunteers! A complete list of the aid stations can be found HERE. Food and Drink – Aid stations will have the following beverage and food choices available: Water, Hammer Heed, Hammer Gel, Soft Drinks, Peanut Butter Sandwiches, Potato Chips, Potatoes & Salt, Cookies, Candy, Fruit *If you have special dietary requirements, please make sure to carry what you need and make use of your drop bag at the 25K aid station. 50K runners are allowed a drop bag at the 25KM aid station – you can deliver your own drop bag to aid station 6 (which is just adjacent to the start area) prior to the race start. Pacers are not allowed. Because of the distance and how well staffed and stocked our aid stations are, having a crew should not be necessary at the Afton Trail Run – however, if you are going to have a crew, you may only receive support at the official aid stations – given supplies, water, etc by your crew at any other location on the race course is prohibited and is considered cheating. We discourage the use of headphones but their use in not prohibited. Full awareness of one’s surroundings, and the ability to communicate with other participants, race volunteers, and trail users not associated with the event are critical to everyone’s safety. Out loud music is prohibited and participants playing music out loud from phones or external speakers will be disqualified. Don’t do it. If you see some trash that someone else has dropped, pick it up. Keep the trail clean. We have established a 9 hour time limit for the 50KM race. We will start sweeping / taking down the course from the 25KM aid station (start/finish area) at 10:30 am. Any runners not out of the 25KM aid station by 10:30 AM will be pulled from the course. Should you need to drop out of the race you will need to report that information to our HAM / amateur radio operators either at the aid station you are dropping at or at the finish area – if you are not sure who that is, find any race volunteer and they can assist you. If you leave the race and fail to notify race officials, you will be asked not to come back to the race in the future. *Awards will be presented as runners finish or shortly after they finish – there will be no formal awards ceremony. We will be serving burgers and veggie-burgers along with other standard cookout fare after you finish the race. Post race picnic is for runners only. Results will be available in real-time as you cross the finish line via the results links on our website (use your phone). Printed results will be updated periodically at the finish. Any personal items left after the race will be donated to a charity. We will not ship items to you. Our race is 100% volunteer run. Please consider volunteering for this race, a future edition of this race, another one of our races or any trail / ultra race. A portion of the proceeds from the Afton Trail Run is donated to Afton State Park. Additionally, Afton organizers, volunteers and runners donate 100’s of volunteer hours within the park each season. PENDING PERMIT APPROVAL Saturday July 4th, 2020.